.com .net .biz .pro .me .xyz & more! At TheProMall every member receives their own FREE personalized sub-domain internet address, i.e. ; yourshop.thepromall.com . This gives you all you need for your personalized internet presence, plus a savings of over $25.00! So why wait? Go visit our sister site TheProDomains.com and purchase your own domain name! .com is for “commercial” use and is the most widely used. Most businesses prefer a .com domain name because it the most recognized for having a business on the Internet. .net is for “network,” and is most commonly used by Internet service providers, Web-hosting companies or other businesses that are directly involved in the infrastructure of the Internet. .edu is for “education”, and is used for educational institutions. .org is for “organization,” and is used by non-profits organizations or associations. 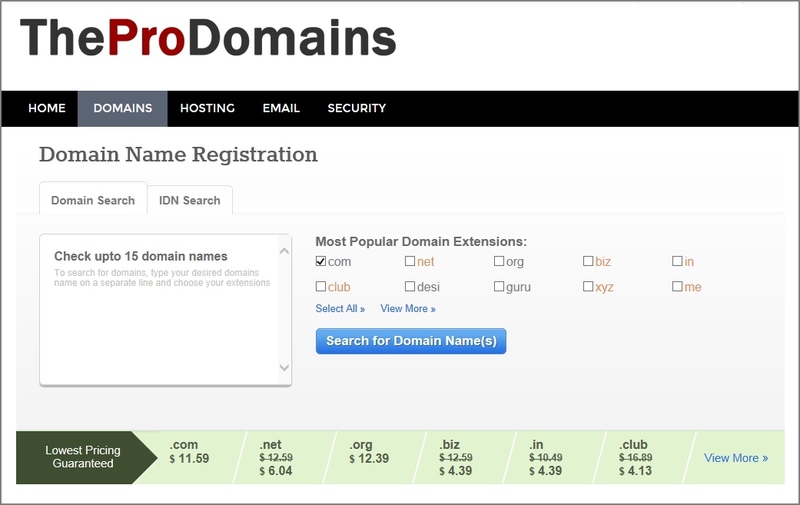 .name is the only domain extension specifically designed for personal use. It is commonly used for easy to remember e-mail addresses and personal web sites. .me extension was assigned to Montenegro as a country code after it became an independent nation in June 2006. However, the Montenegro government decided .ME would be operated as a generic name after considering the potential worldwide appeal for the extension. .info is for credible resource Web sites and signifies a “resource” web site. .mobi (short for “mobile”) is reserved for web sites built for easy viewing on mobile devices. .biz is used for small business web sites. .pro is used for “professionals”. Requires documentation of professional licenses before use. Don’t buy unless you can provide a license or state registration! They do check. .gov is for “government” agencies. .mil is for “military” use. .us is for American web sites and is the newest extension. .cc was originally the country code for Coco’s Keeling Islands. It is unrestricted and may be registered by anyone, from any country. .bz was originally designated as the country code for Belize, but is now commonly used by small business who can’t get the name they want using the .biz extension. It is unrestricted and may be registered by anyone, from any country. .tv is for rich content/multi-media Web sites, commonly used within the entertainment or media industry. There are many, many other specialty and country codes available to everyone. Just no room to list them all!